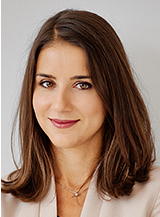 Ralitza Damyanova focuses her practice on corporate and general commercial law counseling and assisting domestic and international clients in transactions such as acquisition of shares in Bulgarian companies, incorporation of limited liability and joint-stock companies. Ralitza Damyanova also takes part in operations of reorganization and restructuring such as mergers, capital increase/decrease, contributions in kind, holding company formation, liquidation, etc. Advised and assisted HL Display AB, a leading international supplier of products and solutions for in-store communication and merchandising to the food and non-food retail sectors in the disposal of the going concern of the Bulgarian subsidiary and its subsequent winding up. Advised and assisted the Swiss corporation Balkania Estate Sarl in the acquisition of one of the largest Bulgarian wine producers – Katarzyna Estate.